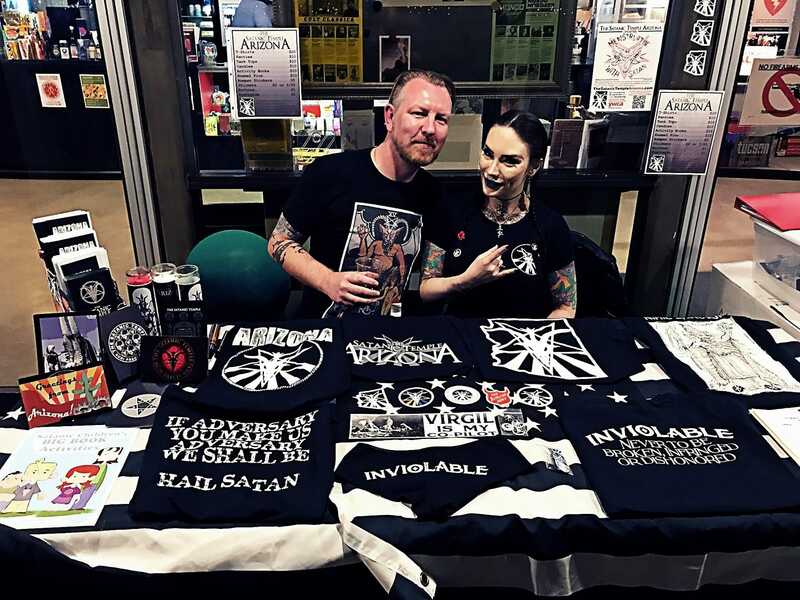 From questioning Catholic to trailblazing chapter head of the The Satanic Temple Arizona, Michelle Shortt isn’t afraid to go against the grain. In my search for a group that I could belong to, and fit in with, I stumbled upon The Satanic Temple (TST) of Arizona. Chapter Head Michelle Shortt was my first contact, and she made me feel welcomed from the very first moment. Before too long, she offered me official membership, which is quite an honor as I know it is not bestowed upon just anyone. Having grown up Catholic myself, and against my own choices, I was looking for like-minded people and new friendships, which is what I have found with TST. I was elated when Michelle agreed to be interviewed, as she has accomplished so much. She has found her fit, at such a young age, and she works hard to show that not all Satanists are how the media portrays. 1. You have quite a few body modifications. How did you get into that, and what’s your favorite one? Body modification has been a fulfilling form of self-expression for me since I first started piercing myself as a teenager. As rebellious teens go, I wanted to separate myself from the herd. So I started with ear and facial piercings and then quickly branched out to body art as soon as I became legal, on my 18th birthday. I had always been attracted to the aesthetic of body modifications, but I grew up in a strict household in a rural town, so my knowledge of the body modification world was limited. It wasn’t until seven years after my first tattoo that something happened that made me feel like the universe was aligning and was showing me the path that I was destined to take. It was 2011 and Netflix was just beginning to catch steam in the video streaming industry. As I was browsing titles, I encountered a documentary that immediately caught my eye. The documentary was called “Flesh & Blood” (2008), and the subject was body modification and body suspension, which go hand in hand, surprisingly. This documentary introduced me to a lifestyle I had never personally encountered, yet had always dreamed of. I was immediately infatuated with the possibilities that body modification could bring to my life. One of the subjects in the film included a famous body modification artist by the name of Steve Haworth that lived in Phoenix, Arizona, which is only a few hours away from my hometown of Tucson. I was so excited to discover this new and exciting world, and to know that I had a renowned body modification artist in my backyard. But it wasn’t until a few weeks later that this all came full circle at a rave I attended. 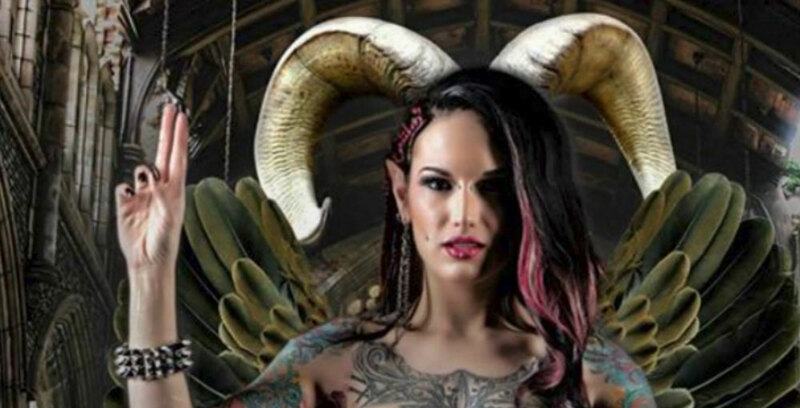 Unbeknownst to me, I attended a rave in Phoenix that featured the very body modification artist I had been dying to meet. Steve Haworth was conducting a suspension with his group Life Suspended; I immediately recognized him from his iconic back-piece and introduced myself the first chance I could. I made an appointment to point my ears shortly thereafter after carefully considering adopting the lifestyle of extreme body modification and suspension. Haworth has performed a number of body modifications on my body, the most extreme being my bifurcated tongue, but if I had to pick a favorite it would be my pointed ears. I have always had an affinity to Fae creatures, and my pointed ears are where I feel my journey of self-expression truly began. I fondly look back on that day and remember the joy that I felt during my transformation. 2. You are the chapter head of the The Satanic Temple Arizona. Can you tell us a little bit about what you do and how you got to that status? 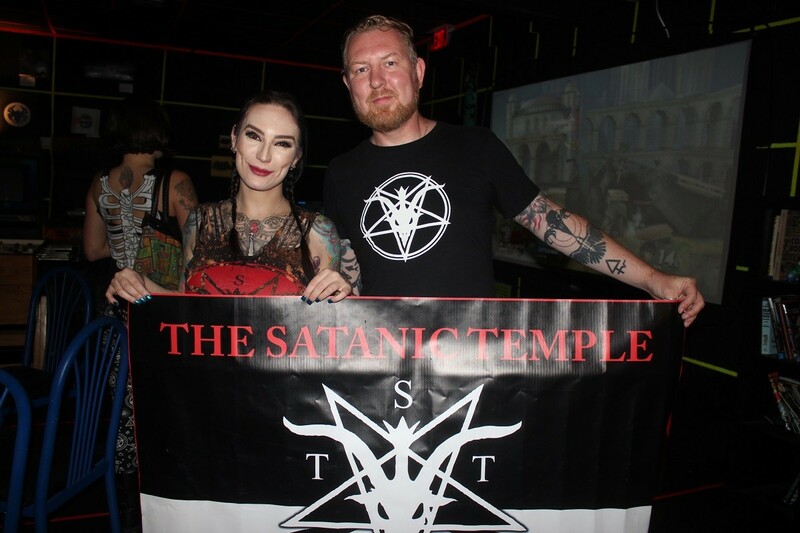 As the Chapter Head of The Satanic Temple Arizona, it is my duty to keep our small community active in accordance to The Satanic Temple’s mission and 7 Fundamental Tenets. It is my intent to have the chapter focus on three key components: community building, civic action, and charitable works. TST chapters are mostly autonomous and are required to formulate their own internal documents and regulations, as needed, for their chapter. As the Chapter Head, some of the tasks I do involve keeping detailed notes of meetings and making sure that tasks are completed in a timely manner, running the website and social media, paying taxes for our chapter which is also an LLC, generating income in the form of merch sales, and delegating tasks to the Arizona Council and Official Members of the chapter. Holding the title of Chapter Head takes a degree of responsibility and finesse that I had not anticipated when I was first offered the position. 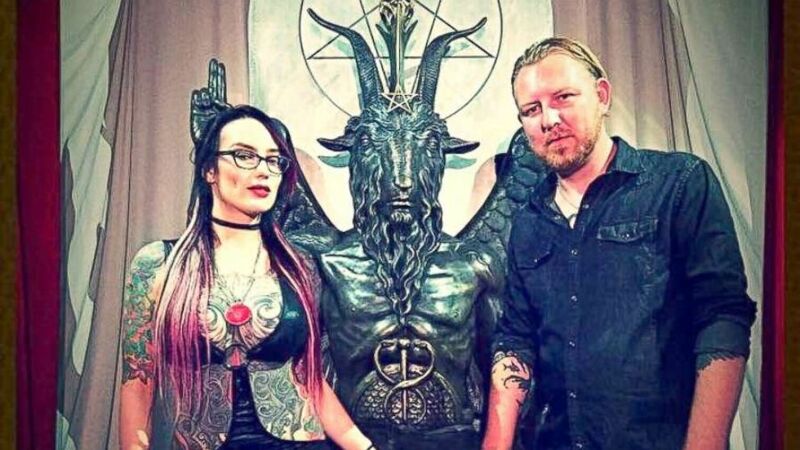 The inception of the Arizona Chapter of The Satanic Temple is an interesting one. In 2015, Lucien Greaves made an inquiry looking for two Arizona residents to conduct an invocation before a City Council Meeting. Stu de Haan and I, who at that time had not officially met yet but had multiple friends in similar circles, volunteered for the position. My first meeting with Stu was a brief one where I recall us discussing the ramifications of the action we were asked to undertake. We were certainly naive of what was to come, and little did we know the outcome of our actions would guide us on a course that would completely change our lives. 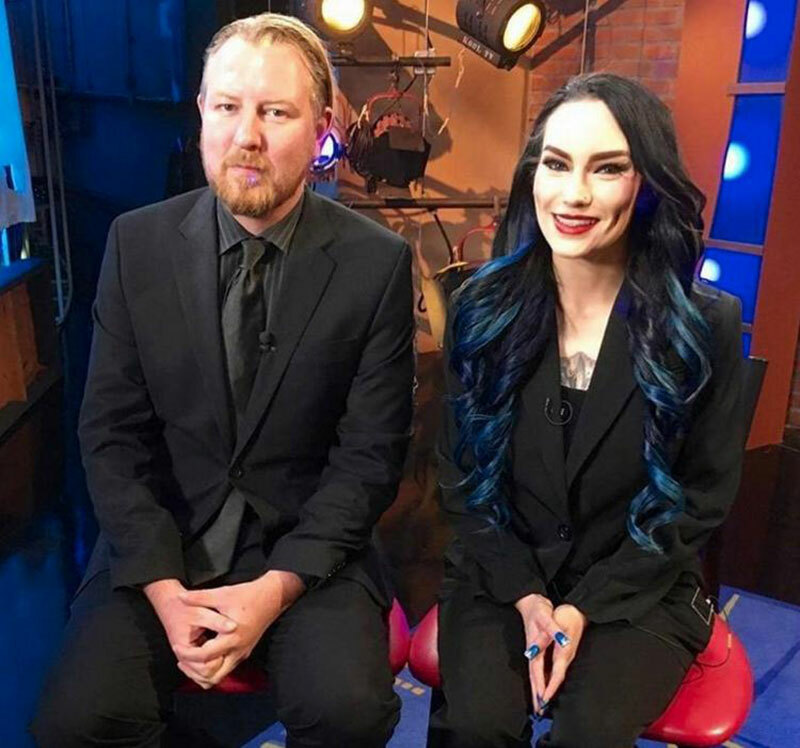 The second time Stu and I met, we did an interview on live television at the Fox 10 News station in Phoenix. There was no choice but to hit the ground running, and it was a definite shock to the both of us since we were not accustomed to the vitriol we received. We had the substantial responsibility of representing The Satanic Temple on a national level prior to even having official chapter status. Shortly after, The Executive Ministry of TST thought that we did so well in how we handled the media that they offered us official chapter status where Stu and I could lead as co-chapter heads. We accepted the offer, and TST AZ became official in January 2016. 3. What’s your favorite part about being a TST chapter head? What are your goals, what do you hope to accomplish? The best part about being a chapter head is the wonderful community we have managed to build. Anytime the AZ chapter accomplishes something, be it a successful Pride Parade or a Menstruatin’ with Satan charity drive, I am reminded by how selfless and talented our community truly is. TST AZ has introduced me to some amazing humans that have become like family to me; I only hope, as chapter head, to inspire them and lead them in a manner where they too can be proud of our chapter. It is my hope for TST AZ to be a safe-haven for our members to grow, flourish, and to implement ideas that coincide with TST’s mission and tenets. One of my goals for 2019, is to unite members and allies across our giant state of Arizona. There are too many lonely free-thinkers and Satanists scattered across state that are yearning for a like-minded community. Outside of AZ’s three major cities (Tucson, Phoenix, and Flagstaff), there is little opportunity for people to join TST AZ and it is my hope to change that with active community outreach. 4. Have you always been a satanist? Everyone is born an atheist until they become indoctrinated. I, too, was indoctrinated into my mother’s faith of Catholicism, and I didn’t become an Atheist until around the age of 13 after my incessant questioning of the Catholic doctrine yielded no satisfactory answers. It wasn’t until the following year that I discovered a book on cults in my high school’s library that introduced me to Anton LaVey and the Church of Satan. Although I never became a card-carrying member, LaVey’s teachings resonated with me, and I knew I had “come home” to a philosophy that I had already espoused but had no official name for. I knew then, I was a Satanist. In the early years of discovering the Left Hand Path, I would classify myself as a “reactive Satanist” — in it for the shock value, strictly against any form of organized religion, and closed to nuance. Many years later, I realized that there were a number Satanic organizations and philosophies that I had been previously unaware of. It wasn’t until The Satanic Temple came along that my knowledge of Satanism expanded and I adopted the Miltonic version of the literary Satan. My views on religion have softened, and I am no longer a staunch opponent of religious practices. Until recently, I was not comfortable calling Satanism a “religion” due to the trauma I had endured due to the Catholic Church. 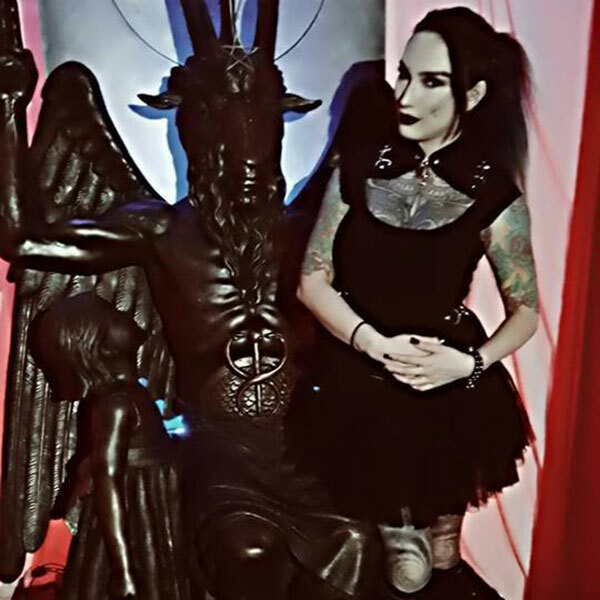 The community The Satanic Temple offers has altered my perception of religion, shown me the positive features of how it can be healing and empowering, and why it is necessary for some. 5. Some people might not realize how much charity work and community involvement TST is actually a part of. What other organization or community outreach efforts would you like to see TST become involved in? I look forward to The Satanic Temple launching their ordination program in the near future. Those ordained through TST will have the necessary knowledge to perform services such as officiating weddings and funerals, and spiritual counseling to those in need of guidance. Having the necessary skills to perform these important duties solidifies our claim that Satanism is a religion that has a positive impact in uniting the members of our community. Once the ordination program is in place, I hope that TST can work on an outreach program to support incarcerated Satanists with religious visits and/or reading materials. As it stands, religious freedoms for Satanists in jail are extremely limited and they are usually forced to join Christian groups that ostracize them for their beliefs. I would love if TST could help offer some support or guidance for our incarcerated Satanic brethren. 6. What is your day job, outside of TST duties? I do not have a day job, moreso a night job as an exotic dancer where I have been in the industry for almost 13 years. If it weren’t for my ability to have a flexible schedule, I don’t think I would have the time or the funds to take on the responsibility of chapter head, which in itself, is a full- time volunteer job that I do on a daily basis. I apply the Satanic philosophy in the form of Lesser Magic to perform my job as an entertainer. 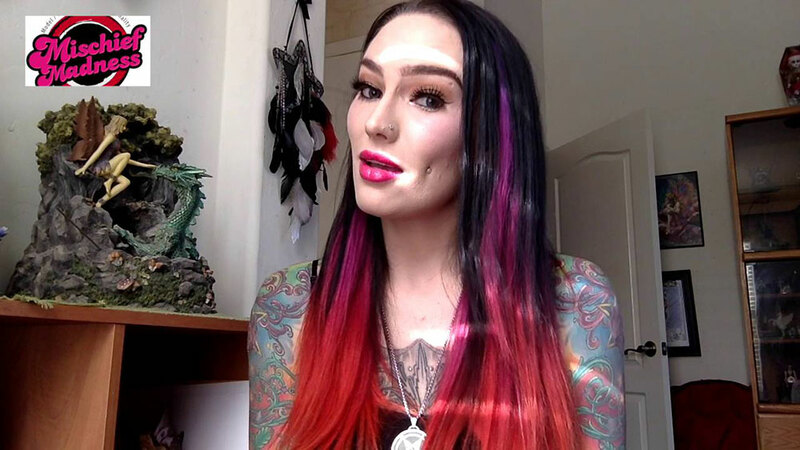 You can see a presentation I did at the Satanic Temple HQ titled “Satanic Feminism in the adult entertainment industry” on TST’s YouTube channel, where I discuss using Satanism to generate my income.